Although it’s been a bit gloomy in Atlanta lately, you can’t deny the season for outdoor living is here. And we’re excited to share some fantastic new looks in outdoor furniture that’ll be tough to part with when it’s time to come in for the night. First up, outdoor furniture by Kannoa. 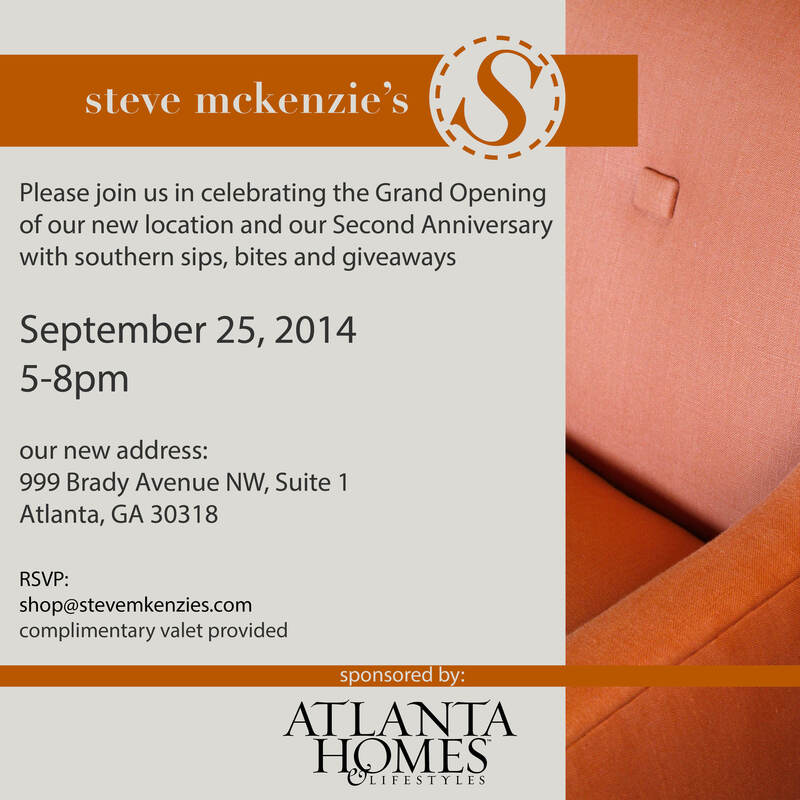 steve mckenzie’s is thrilled to be the exclusive showroom in the Southeast for this fantastic brand of stylish and beautifully crafted outdoor furnishings. Featuring clean, modern lines, Kannoa outdoor furnishings are available in a wonderful array of Sunbrella outdoor fabrics. Speaking of color, can we talk about the rainbow of hues these fantastic occasional tables by Kannoa?!? If these wouldn’t brighten up your poolside space, even on the dreariest of days, we don’t know what will! And this stunner of a chair appears formal dining room worthy – which we suppose it truly could be. However, it’s specially crafted by our friends at Selamat for use outdoors. These are actually aluminum frames, available in five powder coated finishes, including the dreamy turquoise and sunny yellow colors above. Ideal for adding to a fun mix of outdoor seating options! Now, talk about sunny yellow – this side table from Selamat will add a beautiful, sculptural touch to any outdoor space. An ideal way to add a pop of color! And you just can’t put your drink down anywhere… For some of us, only the most stylish options will do. Like this golden beauty from Selamat. Sprinkle fun side tables all around your outdoor living area, and you’ll be prepared to host any gathering. Offering guests a selection of comfortable and stylish seating, along with a place to prop a beverage or small plate, will ensure a memorable event that’s effortless on your end! Reach out to the McKenzie Design team today to talk outdoor design and learn how we can make your outdoor space a favorite room in your home! Now, where are the cool beverages?! ?